Preparing your family budget gets a little tricky when child care costs are involved. Child care is one of the biggest expenses that families face, and it’s one that can’t be ignored. Obviously, child care costs will vary greatly by area and level of care (the average annual cost of child care ranges from $6,000 to $18,000 in the US), but all families can save money with these simple tips. There are many different options available when it comes to child care, though religion-based and home-based care centers are typically more affordable. Your city/state might also offer affordable options based on your salary. Before signing up for a certain day care, ask about their discounts and pricing schedule. Ask whether the day care center offers sibling discounts and discounts for paying in advance. Also, find out their pricing policy for sick days, vacation days, and holidays. If you can avoid paying for days your child isn’t there, such as when they’re sick or when you have vacation, then you can save several hundred dollars a year. If you and your spouse/partner have flexible working hours, try working your schedules to minimize the need for day care. This is not for everyone, and it will depend on individual employers. My sister and brother-in-law had success doing this as an engineer and pharmacist. They were able to alternate their days off to limit how many days they needed child care. There’s no harm in asking your employer if you can work from home a few times a week if your job allows for it. There are two tax benefits available to help you pay for child care. The first is an FSA, which is known as a Flexible Spending Account. You can fund your FSA up to $5,000 per year with pretax income. This can also help you owe less in taxes for the year. Another option is the Child and Dependent Care Credit. This tax credit allows you to claim up to $6,000 for two or more children. Therefore, if you put $5,000 into your FSA, you will only be able to claim $1,000 more. Oftentimes, employees don’t take full advantage of their benefits. Talk with HR to see if your company offers any discounts or reimbursements for child care. If you need care for your child after school, as well as help with light housekeeping, meal prep, and tutoring, find someone who can do it all. Yes, you are going to pay more for this kind of help, but ultimately it can make your life a little less stressful. Also, if you were needing child care and a tutor, then you might end up saving money by hiring one person. Child care can eat a huge portion of your budget. Usually the younger the child, the more you will have to pay for day care. Weigh whether or not your salary is worth the cost of child care. Some parents will find that it’s more beneficial to their budgets to take care of their children the first few years instead of returning to work. 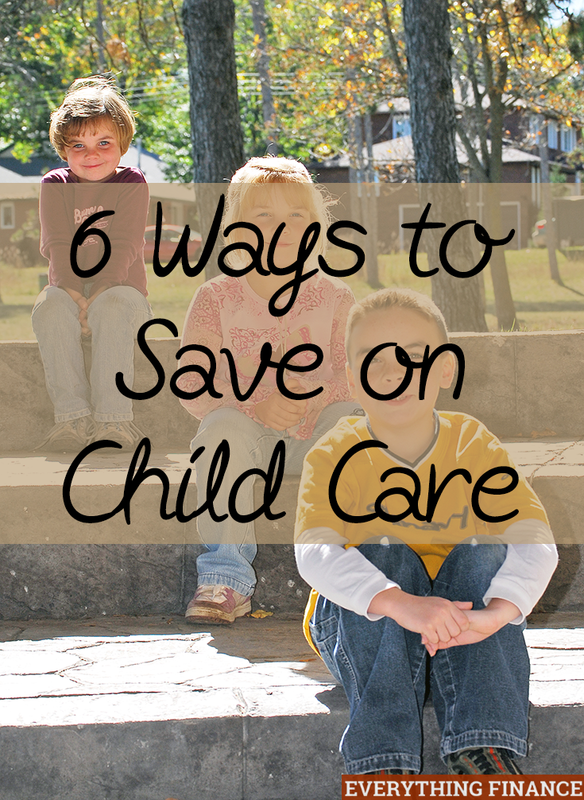 How do you save on child care costs? Definitely try to find a good home-based daycare instead of one of the… well, you know, the business-like ones, whatever they’re called. Home-based ones might not have all the bells and whistles but they’re typically cheaper, and they have fewer kids so your child isn’t just another face in the crowd.